Xiaomi, the leading smartphone company, has seen huge success in the smartphone market with the launch of remarkably cheap and powerful Mi smartphone series . 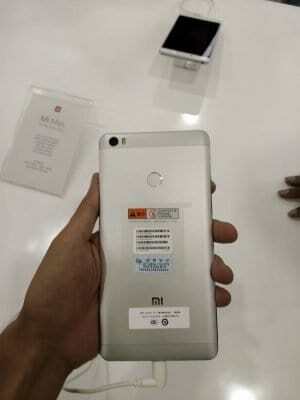 Yet again, with Xiaomi Mi Max, priced at 14,999, Xiaomi is all set to redefine the 6-inch smartphone category in India. 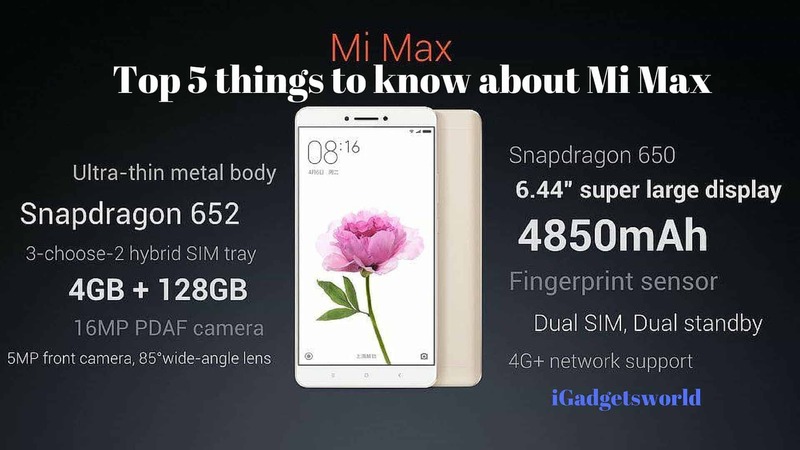 Let’s see the top 5 features of Mi Max. Mi Max comes with a 6.44 inch supersized full HD display along with Corning Gorilla Glass 3 protection. The metal body with smooth edges makes the device feel good in your hands. 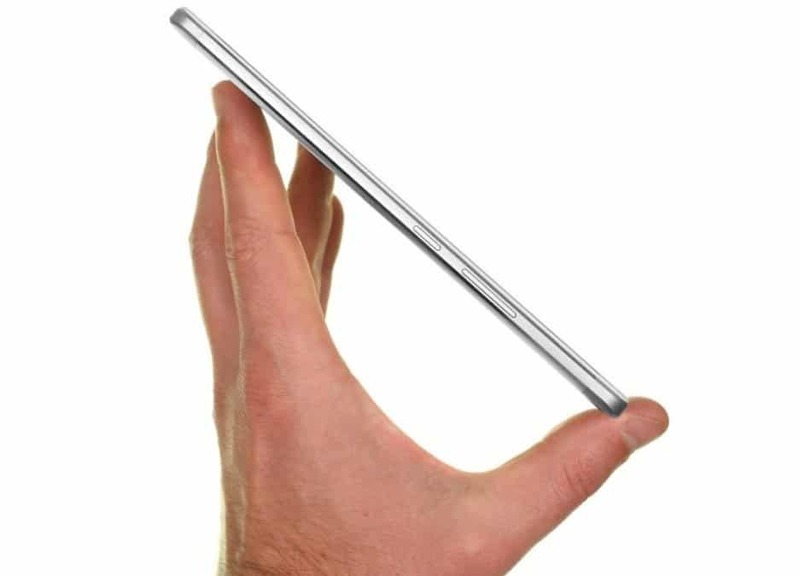 The 6-inch device might be huge in size (considering a smartphone) but it is just 3 grams heavier than Redmi Note. Also it is featured with 16MP Primary camera and 4850mAH bulky battery that can juice this massive device with the endurance rate of 108 hours. To know more about the Max then read about all the top 5 features you need to know about this mighty big screen smartphone. Max comes with 6.44″ IPS LCD display of 1080p resolution; 342ppi; Corning Gorilla Glass 4 and stuffed with Metal back. It comes in two variants: 16GB and 32GB model with Snapdragon 650 chipset (2x Cortex-A72 at 1.8GHz and 4x A53 at 1.4GHz cores); Adreno 510 GPU; and with 2GB/3GB RAM. Android 6.0 Marshmallow with MIUI 7 and it gets updated to MIUI 8. Other features: 4G LTE; Dual-SIM; Wi-Fi a/b/g/n/ac; Bluetooth 4.2; NFC; GPS, GLONASS and Beidou; IR blaster; FM radio; Fingerprint reader. 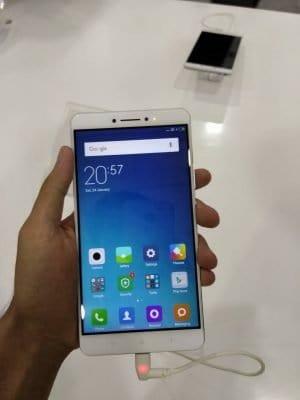 Xiaomi Mi Max has just upgraded its recent affordable device Redmi Note 3 to Mi Max by increasing the size to 6.5 inches. The Mi Max is a well-crafted device and it comes with Gorilla Glass 4 with a slight bevel at the edge. It has the similar metal design which is hugely made of Aluminium body. There is no much features available to speak about the design part. The important factor that contributes to the popularity of Mi Max is its display. It comes with 6.44″ IPS LCD display with 1080p resolution and with a pixel density of 342ppi. If you are a user who likes to have best viewing experience, then Max will deliver it to you with great value for money. The Xiaomi MI Max comes in different variants: Snapdragon 650, 3GB of RAM and 32GB of storage and the other variant: Snapdragon 652, 4GB of RAM and 128GB of storage. 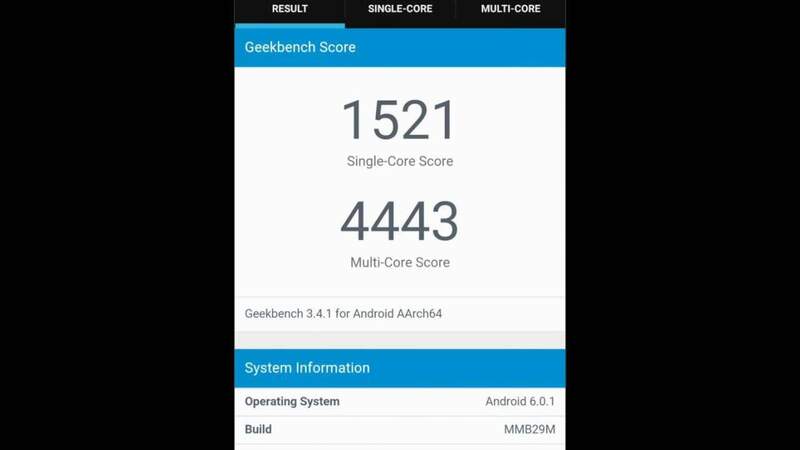 The main difference between the Snapdragon 650 and 652 is the core count – the former has six cores (2x A72 + 4x A53), while the latter has eight adding two extra A72 cores. If you are looking for best performing large displayed device then choose Mi Max equipped with Snapdragon 652 chipset. Both the variants are equipped with similar Adreno 510 GPU and in either case, the GPU performance is the same and handles games at 1080p easily. 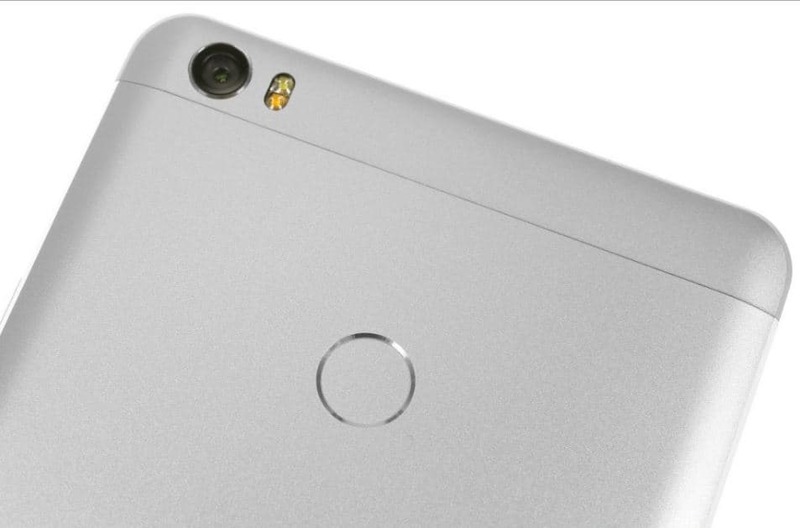 The Xiaomi Mi Max comes with a 16MP camera that features phase detection autofocus, f/2.0 lens and sports a dual-LED, dual-tone flash. On the front is a 5MP selfie cam with an 85° f/2.0 lens. To know more details about Camera; wait for our in-depth review of Mi Max. The major highlight of Mi Max is its massive 4,850mAh battery. The Endurance rating as per GSM blog is 108 hours and it’s tough to find an another device which can last so long with such a huge and massive display. Even after adding the second SIM, it doesn’t impact the Endurance rating much. The Con of Mi Max is it’s not bundled up with a Quick Charge. 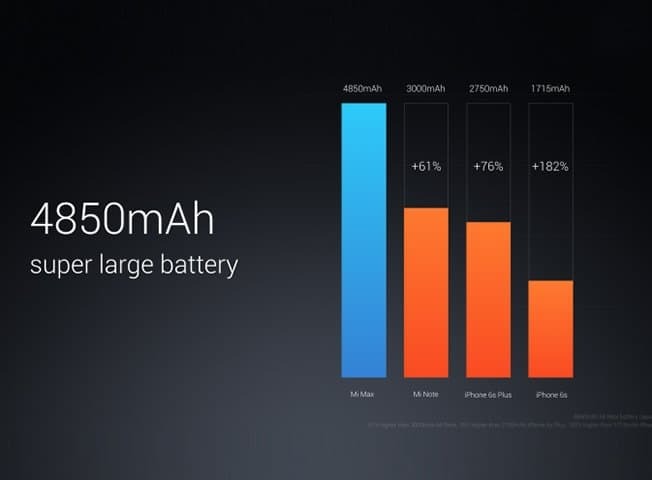 However, you can expect a 40%-50% rise in charging speed if you have a more powerful charger at home. Xiaomi Max is equipped with all the features that made it an awesome pick among the smartphones available in the market. If you love to have a big sized phone in your hands, then Xiaomi Mi Max is a perfect pick for you in an affordable price tag. Also are you looking for alternate top 5 best 6 inches smartphones? then read more here.